NASA leader Raila Odinga has been forced to change his base of operations following the historic but controversial swearing in as the People’s President. 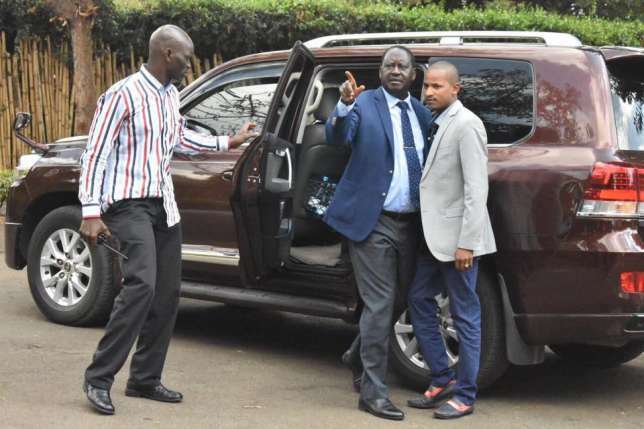 The Star reported its sources indicating that Odinga has avoided his Karen home since Tuesday, and has instead been staying at a high-end Nairobi hotel. He has also kept off his private offices at Capitol Hill in Nairobi’s Upper Hill area. Further reports indicate that the NASA leader is also working on a new cabinet to match his status as the “People’s President”. Embakasi MP Babu Owino on Sunday called upon the NASA leader to consider him for the position of CS Interior Coordination, promising that his first act would be to arrest the incumbent Dr Fred Matiang’i. The retreat has come at a time when the government has launched a crackdown on key figures at the centre of NASA’s controversial inauguration. Some NASA strategists have raised alarm over the possible arrest of Odinga, which could be one of the reasons for his change of residence. Prior to last week’s swearing in, Odinga had vowed that he would be sworn in and proceed to State House. “You all know Raila Odinga is not a coward… In Uganda, (Kizza) Besigye was sworn in as president, last week, Mnangagwa was also sworn in but we’ll not do it like Besigye, we will do it like Mnangagwa where he was sworn in and got into State House,” Odinga stated. 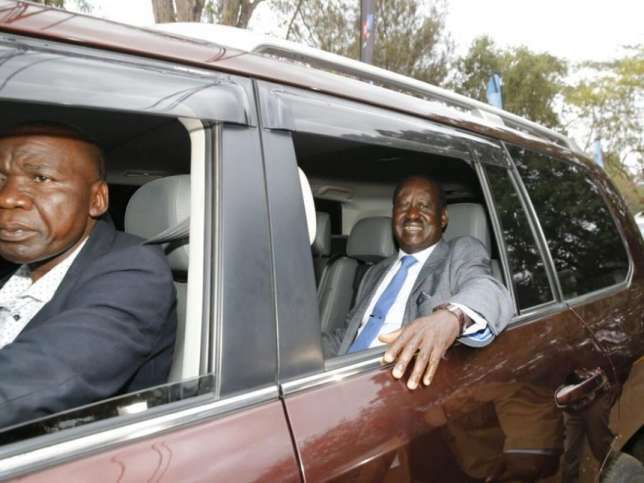 Odinga is also reported to be under pressure to cut ties with NASA co-principals Kalonzo Musyoka, Musalia Mudavadi, and Moses Wetangula who skipped his much-publicised swearing in. The retreat has offered him distance from his co-principals as he decided on his next course of action.